Looking for a healthy dose of honky tonk, hot chicken, and Southern hospitality? Then it’s time to hop a plane to Nashville! Home to storied venues like the Grand Ole Opry, the multi-day CMA Music Festival, and a slew of past and present country crooners like Johnny Cash, Luke Bryan, and Lady Antebellum—Music City’s country roots run deep. 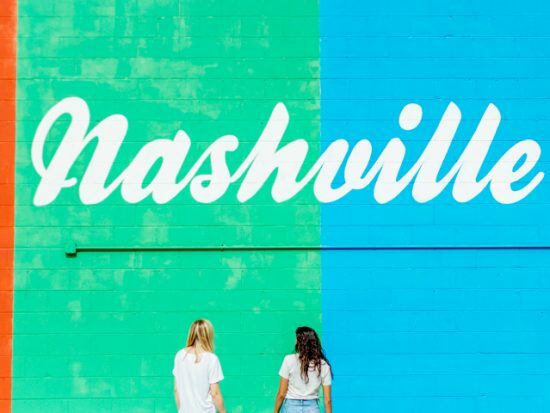 Of course, Nashville has a lot more diversions to offer; we’re talking design-driven boutique hotels, indie retailers, and revolutionary restaurants that go beyond biscuits and barbecue (but don’t worry—you can still find plenty of that). 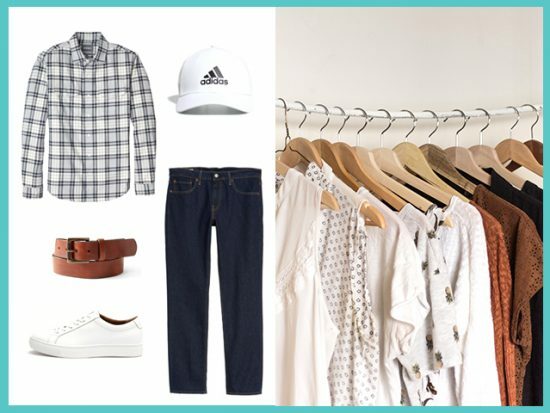 If you’re planning daytime excursions to the Country Music Hall of Fame and Nashville Zoo or late nights on Honky Tonk Row, you'll need a wardrobe that can tackle it all. 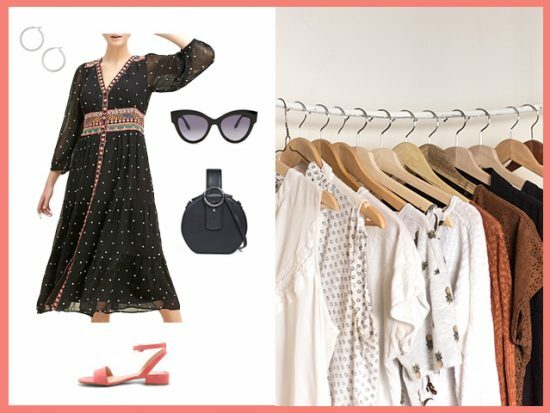 Below, we delve into what weather you can expect each month, the items you shouldn’t be leaving home without, and the luggage that’ll best accommodate your Nashville wardrobe. Pro-tip: Wear your cowboy boots on the plane. Perfecting your packing strategy for a trip to Nashville first requires finding the right bag. If you’re going for a long weekend, you can’t go wrong with Cuyana’s Classic Weekender. The polished canvas bag is full of elevated features, from Italian leather handles and gold hardware to personalized monogramming on the shoulder strap. The roomy interior guarantees space for all your essentials. 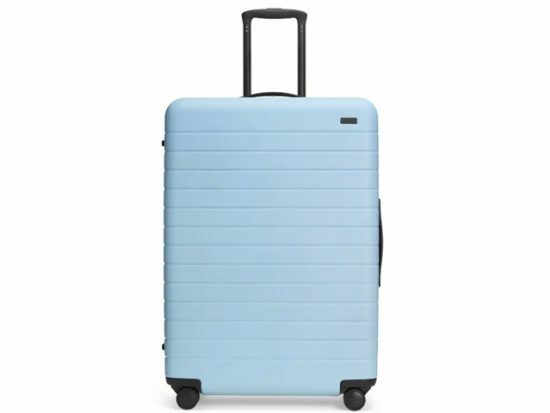 If your trip approaches the seven-day mark, you’ll be better off with a small spinner like the 23-inch hardsider from Herschel Supply Co. A polycarbonate shell means it’s both sleek and ready to take a beating at baggage claim. Aside from the company’s signature striped lining, inside you’ll also find a mesh divider and garment straps which make organizing your outfits a breeze. Lastly, if you’re packing for two or are going for an extended stay, you can’t do better than Away’s large checked bag. We know the suitcase has been Instagrammed to death by influencers the world over, but its cult status is actually well-earned. The durable polycarbonate shell is guaranteed for life and inside, a compression system works wonders for overpackers. Extra features like a removable laundry bag, 360-degree Hinomoto wheels, and personalized monogramming just seal the deal. Between strolling Nashville’s hilly neighborhoods, going out at night to iconic venues like Tootsie’s, and biking your way around the city on a pedal-powered tavern, Nashville requires a few pairs of shoes. Ladies will want to pack walking-appropriate sneakers that pair well with not only jeans, but also skirts and sundresses. A strappy-yet-comfortable sandal does well for warm days and strolls around the Grand Ole Opry, while a suede, Western-inspired bootie will take you wherever your night leads. As for gents, a pair of rugged leather boots will fit right in with Nashville’s dapper crowd. It’s always good to have a pair of sneakers and dress shoes on hand as well. The first is ideal for visits to the Nashville Zoo, while the latter is a better pick for nights out on Honky Tonk Row—a spattering of the city’s most well-known bars on Broadway between First and Fifth avenues. 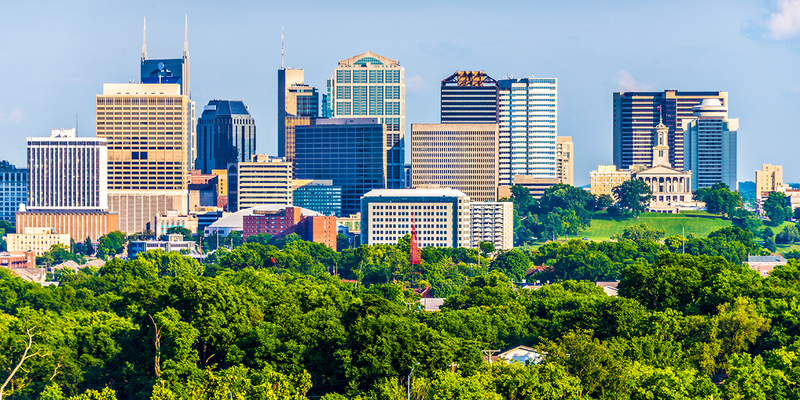 Like other cities in the Upper South, Nashville enjoys a pretty agreeable climate. 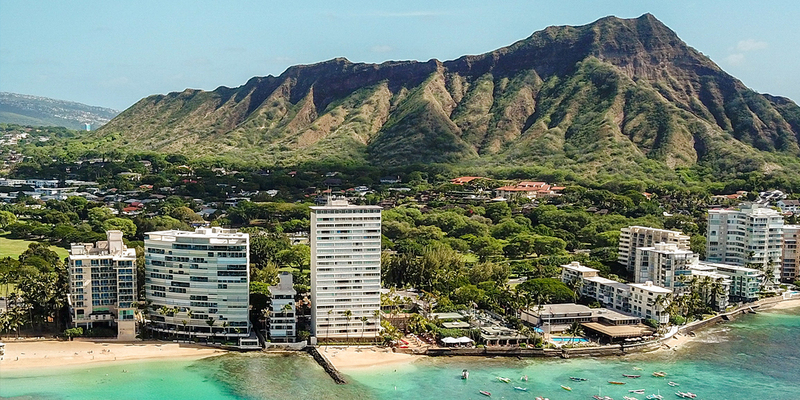 Visitors will find hot, humid summers (but nothing too unbearable) and mild winters with little snow accumulation. Spring is the most unpredictable of Music City’s seasons. Some months, like May, can dump upwards of five inches of rain, and most of the region’s tornados also hit during this time. That said, Nashville delights no matter the season. Year-round you’ll find festivals celebrating everything that makes the city great, including country music, whiskey, and even hot chicken. A good rule of thumb when packing for your trip is to prepare for every element with adequate layers. With a midweight jacket, flannel shirt, and umbrella in tow, you can rarely go wrong. Note: Below is a packing forecast, not a traditional forecast. A packing forecast focuses on how cold it’s likely to be in the early mornings and evenings based on historical data. Note that precipitation is an average per day, and not the entire month. We recommend using this together with a traditional forecast as you get closer to your departure date. This data comes from our friends at Weather Underground. What to Wear in Nashville in January: This month is Nashville’s coldest with midday temps that drop into the 30s. Highs can, however, hop into the 60s, so pack a warm coat and layers that can easily be stowed in a backpack or tote. What to Wear in Nashville in February: Weather this month is really a mixed bag; temps could take a swing toward spring and soar into the 60s, or a cold bout could bring through rain or even a little snow. Prep for all the elements by packing a water- and windproof coat, ample layers, and a trusty umbrella. What to Wear in Nashville in March: Weather is on the up and up come March. Expect days that hover in the high 50s and 60s. You’ll likely no longer need a parka, but still be sure to pack a light jacket. 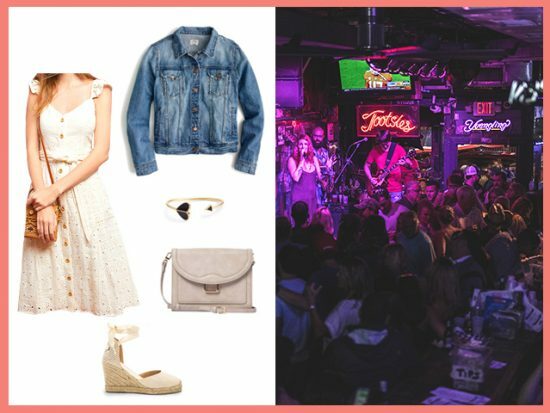 What to Wear in Nashville in April: Weather can still be unpredictable come April, but with average daytime temps in the 60s and 70s and comedy, food, and music festivals aplenty, the month kicks off Music City’s peak tourist season. Pack breathable layers—Nashville’s humidity level hovers around 70 percent the whole year—and you’ll be good to go. 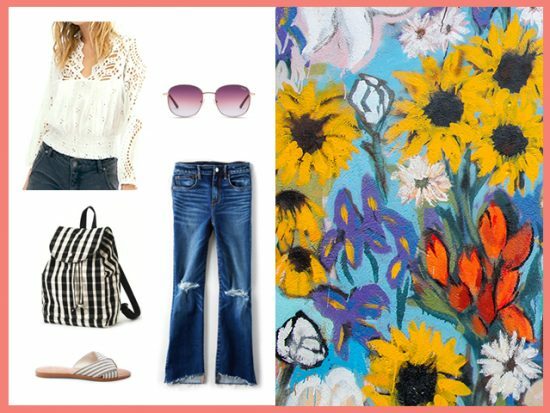 What to Wear in Nashville in May: With average temps in the high 70s, May is one of the loveliest times to touchdown in Nashville. 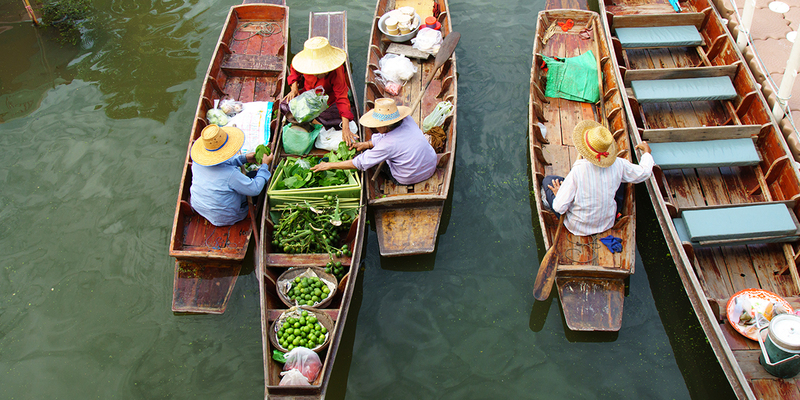 Pack your sunnies, comfy footwear (you’ll walk a lot), and some airy skirts and sundresses. What to Wear in Nashville in June: This month is when Music City’s high humidity really starts to rear its ugly head. To combat the stickiness, pack lots of light pieces like breezy sundresses and swingy tops. What to Wear in Nashville in July: Now that Nashville has fully descended into summer, things get hot, hot, hot. With daytime temperatures soaring into the 80s and 90s, don’t step foot outside until you make sure you have a water bottle, sunscreen, and sunglasses on hand. What to Wear in Nashville in August: August is still peak summer in Nashville, and like in other southern cities, that means heat and humidity are here to stay. Pack light t-shirts, shorts, and sandals to contend with balmy temps. What to Wear in Nashville in September: Summer’s high temps continue through September. 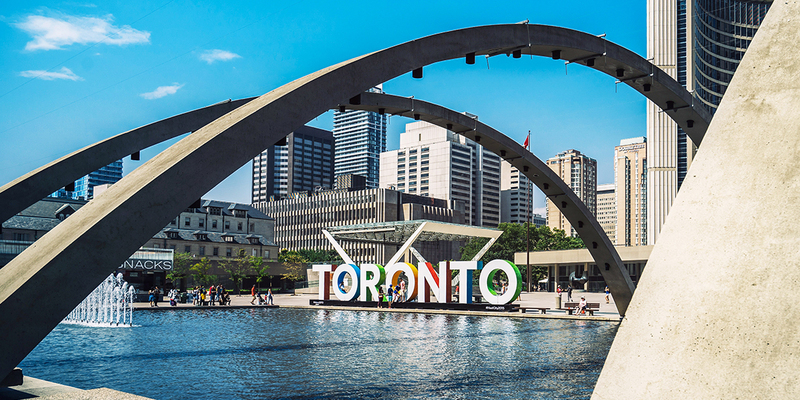 If you plan on attending one of the city’s multi-day music festivals or outdoor food and wine events, make sure you have plenty of water and sunscreen on hand. A cap wouldn’t hurt, either. 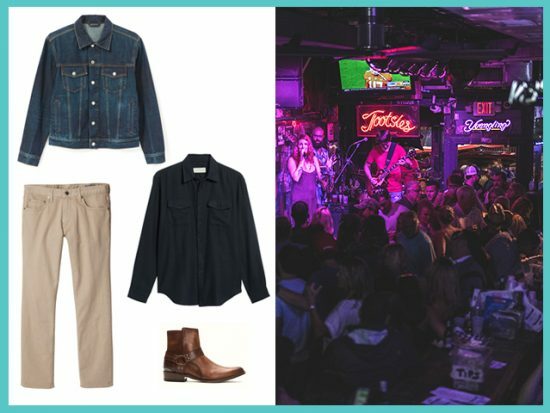 What to Wear in Nashville in October: With mild temperatures ranging anywhere from the 50s to the 70s, October is a lovely time to visit Nashville. You’ll catch the trees shedding their summer green for fiery autumnal shades (make sure you have time for a ride down the Natchez Parkway), but you’ll still fare well with just a light coat come nightfall. What to Wear in Nashville in November: Daytime temps rarely fall below the 40s in November, but cold snaps are common. Plan to dress in layers; pack jeans, light sweaters, and some short sleeve shirts for the odd warm day. 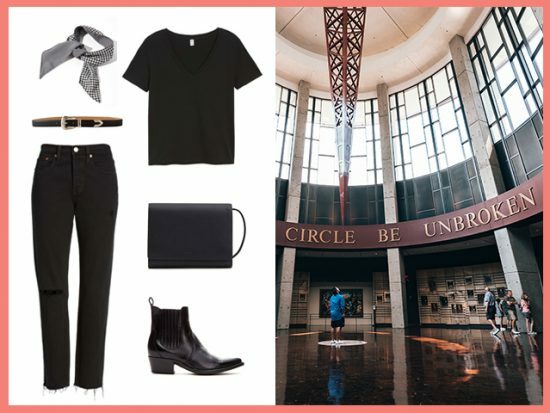 What to Wear in Nashville in December: Anticipating December’s forecast can be a little tricky; you could have a cold front one day and a warm front the day following. Luckily, snowfall doesn’t start until January, but you will want to bring a rain jacket as it’s likely to rain. Let’s just get this out of the way—yes, you will spot your fair share of Nashville locals in cowboy hats and boots. And yes, you could get away with wearing them (at the right venue, of course) without looking like a tourist. That said, they’re just not a smart use of your suitcase’s limited space. Sure, they’re cute for nights out at honky tonk bars, but they’re not well-suited to long days spent walking around the hilly city. Instead, follow the local’s lead when it comes to Western- and rock-and-roll inspired picks that are both cute and comfortable. Nashville’s style is relaxed but trendy, so you’d do well to pack a few pairs of quality denim as well as breezy sundresses and a low-heel bootie that can be paired with both. Men will find that Nashville natives rock staples like dark denim, leather boots and jackets, and quality flannels. If you really want to break out your cowboy boots, wear them on the plane. Neither the Country Music Hall of Fame nor the Grand Ole Opry have dress codes. In fact, the latter states on its website that “you’ll see everything from faded jeans to business suits, cowboy hats to your Sunday best. Just remember a rule we take very seriously…you have to wear something!” For women, we’d go with a simple jeans and tee outfit, slightly dressed up with a Western bootie and fun belt. 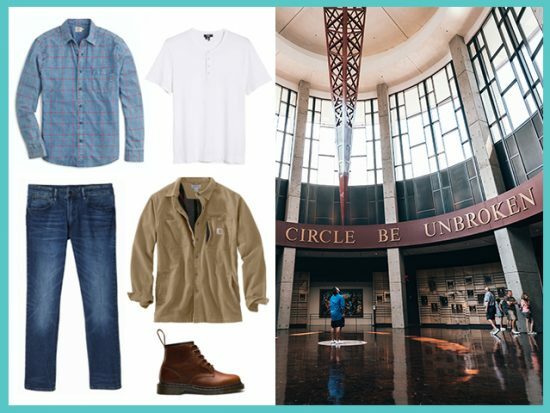 For men, a simple henley, pair of jeans, and Doc Martens boots will not only suit your Country Music Hall of Fame tour, but also a casual dinner and drinks afterward. Going out for a night of boot stompin’ live music? Iconic Tootsies doesn’t have a strict dress code, so you can wear whatever you’re comfortable in. We’re enamored with this eyelet midi dress which pairs perfectly with a jean jacket and espadrilles. 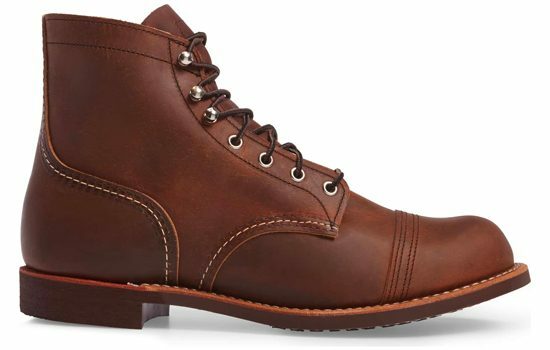 Dudes can opt for khakis, a flannel, and an Americana-inspired boot like a pair from Frye, one of the States’ leading leather manufacturers. 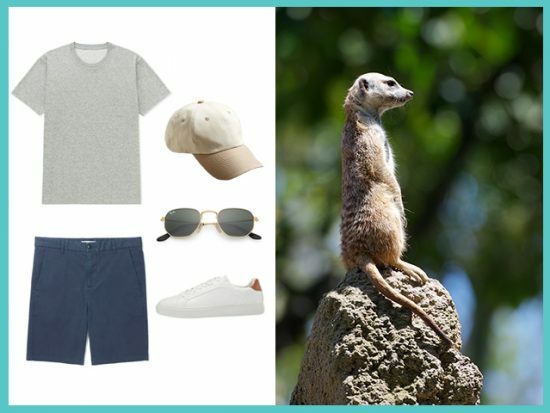 The cornerstone of your zoo outfit should be a comfortable pair of shoes—it’s time to tuck away your boots and opt for sneakers. From the ankles up, the options are really endless, but we always suggest bringing a pair of sunglasses and sunscreen if the weather calls for it. Looking to take a new profile pic or Instagram shot on your walking tour of Nashville? 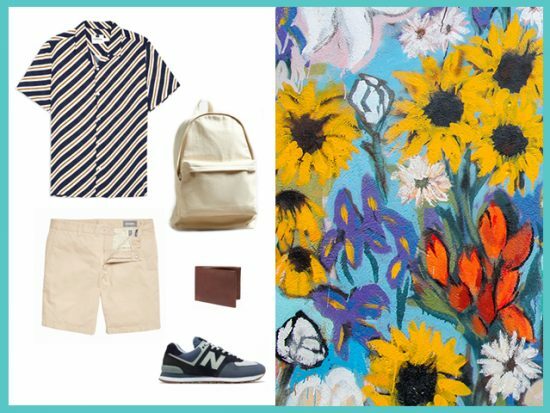 Keep things cool and casual while searching for street art or learning about the city’s civil right’s movement. A mini backpack will hold all your essentials like a water bottle, sunglasses, and wallet. A shopping trip calls for comfort and cuteness. Take a page out of Nashville natives’ books. For women, a flowy midi dress and flat suede sandals are a surefire way to look chic while shopping. Men can keep things cool and casual with slim jeans and a flannel shirt. Which Nashville neighborhoods are the best to visit? This is nearly an impossible question to answer. Nashville’s nabes each offer their own diversions. 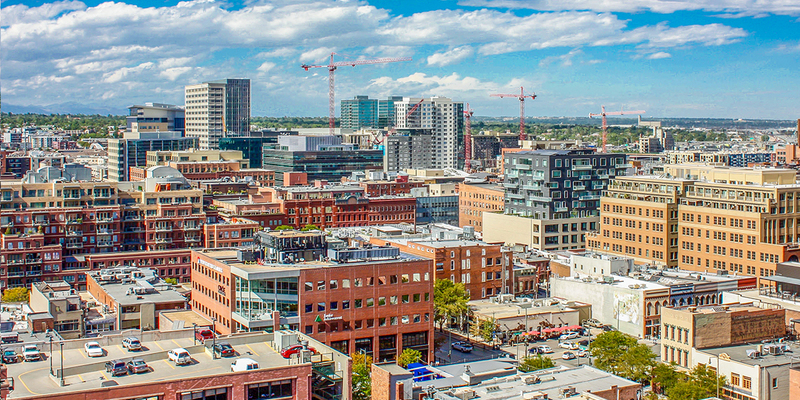 You can go antique shopping on 8th Avenue/Melrose; bar-hop Downtown (Lower Broadway) or in SoBro (south of Broadway); stroll Victorian-home-lined streets in Germantown; sit down for a fancy dinner in The Gulch; or get your caffeine fix in 12South. Before you decide, check out a full list of Nashville’s neighborhoods here. I’m visiting the Music City in January; do I need to pack a jacket? Short answer: Yes! Long answer: With daytime temps that can dip into the 30s, January is Nashville’s coldest month. While you won’t need an Arctic-level parka, you’ll definitely want to pack at least a midweight coat that can contend with occasional snow flurries. What is the best outfit to wear going dancing in Nashville? Duck into any bar on Lower Broadway and you’ll see people sporting every type of fashion from country to rock-and-roll. While it’s always wise to check a venue’s website ahead of time for dress code regulations, there’s really no uniform for a night out in Nashville. 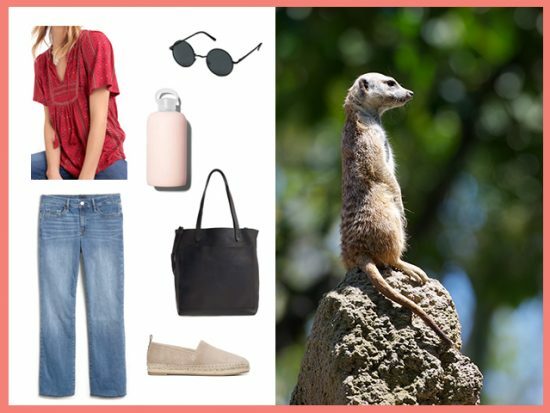 If you’re comfortable in jeans and a tee, go for it. More of a glamour gal? That’s fair game too. I heard it always rains in Nashville; what is the best umbrella to pack? With an average of 47 inches of precipitation each year, Nashville ranks as the 10th-most rainy city in the U.S. To combat downpours, you’ll want to have a trusty travel umbrella on hand. While dozens of umbrellas tout themselves as windproof, the Magictec Umbrella has hundreds of five-star reviews backing up its claim that it can withstand up to 55 MPH gusts. Best of all, you can snag one for less than $20 on Amazon.